It’s available in a range of configurations and trims, so there is sure to be a spec of truck that suits your lifestyle. With tow capacities in excess of 4 Tonne *model dependant, the Toyota Tundra has twenty two different configurations in up to six trim levels. The 5.7L V8 comes with 4×4 selectable, 6 speed automatic and Tow/Haul mode. Therefore, this holds lower gears longer and increases throttle response to help you tow with more confidence. 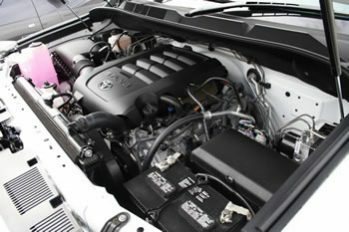 The 5.7Ltr V8 comes packed with 381Hp/284Kw @5600RPM and 410Lb Ft/543 Nm @ 3600Rpm. The tow package is standard on the 5.7Ltr. 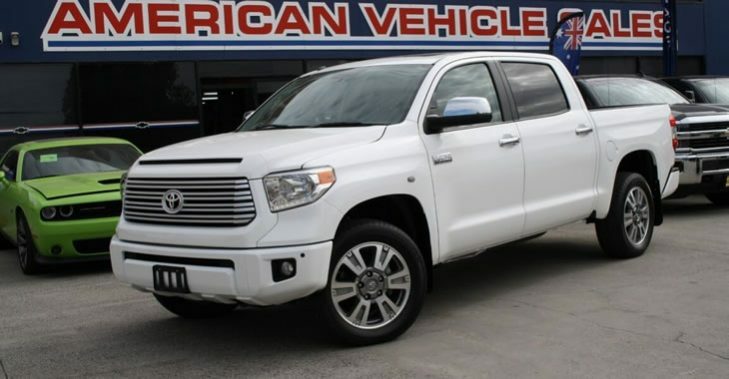 The rear diff is fitted with a 10.5 Inch ring gear to allow the 4.30 Rear axle to produce the large torque numbers that the Tundra can produce. The interior of the Toyota Tundra has class stamped all through it. From the soft leather seats with upper back cross stitching, to the smooth lines running from the passenger side padded dashboard stitch, through to the center console. This has an interior, that will sit comfortably with you as a driver. Easy reach touch controls for dual zone heating and cooling, steering wheel controls for Bluetooth, cruise control and audio controls make your driving experience all the better. All your safety and towing requirements are satisfied. Along with Tow Haul mode and the optional Blind Spot Monitor within easy reach. The Toyota Tundra comes with Blind Spot Monitors featuring rear cross traffic alerts in the SR5 Safety and convenience pack. This is a first for any full size pick up. Other standard features include 8 air bags, stability control and traction control and trailer sway control. As well as Powerful front brakes, fitted with 4 piston brake calipers, anti-lock brakes, electronic brake force distribution and brake assist. For safety in hauling/towing, the tow haul mode offers support for those long hauls. The 2016 Model 5.7Lt comes standard with integrated brake controllers which allows you to adjust the amount of trailer braking. This is depending on the weight of the load. 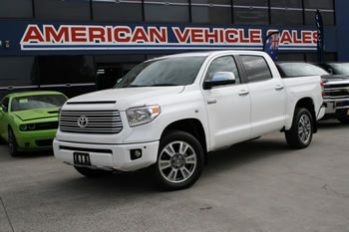 The Toyota Tundra configurations come in Regular Cab, Double Cab and also the Crew Max. The Crew Max is the largest of the configurations and really comes into its own. It comes with loads of second row leg room, 4 full sized doors and a roomy feel all throughout the cabin. This comfortably seats five adults. The center console area is just what you need for file folders, electrical devices, phones and all the materials you need whilst out on the road. Furthermore, Crew Max models include a standard power vertical sliding rear window. This is for those warm summer nights. It also comes with an optional sunroof. The double Cab model adds rear hinged doors and a set of flip up rear seats. This space adds extra carrying space in the back when not being used by passengers. It keeps goods out of the weather, but has less leg room in the back as its Crew Max counterpart. Finally, the regular Cab is a configuration best set up for work truck use. It has seating for a maximum of 3 with a bench seat, or a 2 seater with buckets, with plenty of room for storage in the bed behind you.